so far this winter (granted, winter is still relatively young, officially speaking), there have not been many occasions on which to layer on the knitwear, the woollen knitwear. in fact, this day presented only the second occasion this winter on which to layer on the knitwear ... and to layer it on thick. looking back to last autumn/winter, by the time we were at the same place where we are at now, swaddling up was de rigueuer, if one's survival was considered fashionable. so, last autumn/winter, by now, most everyone, myself included, was tired of woollen layers. this year, by contrast, bundling up in layers and layers of wool is still new and exciting. my hope is that this feeling lasts ... at least to the official end of winter. i am wearing the alpen top, the tokyo hat (with an added flower pin) and the pieces skirt by kaliyana. 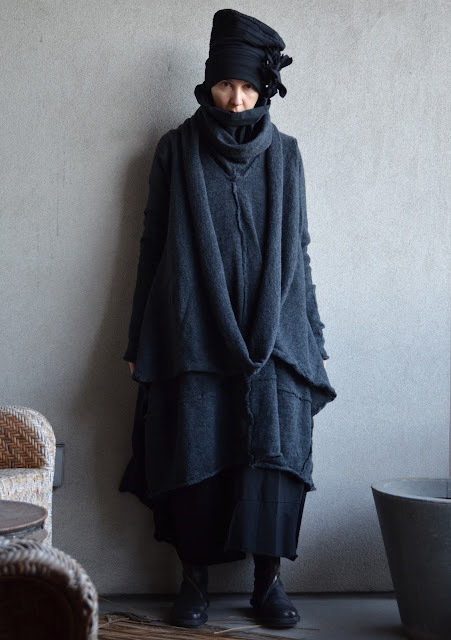 my woollen layers are rundholz black label. 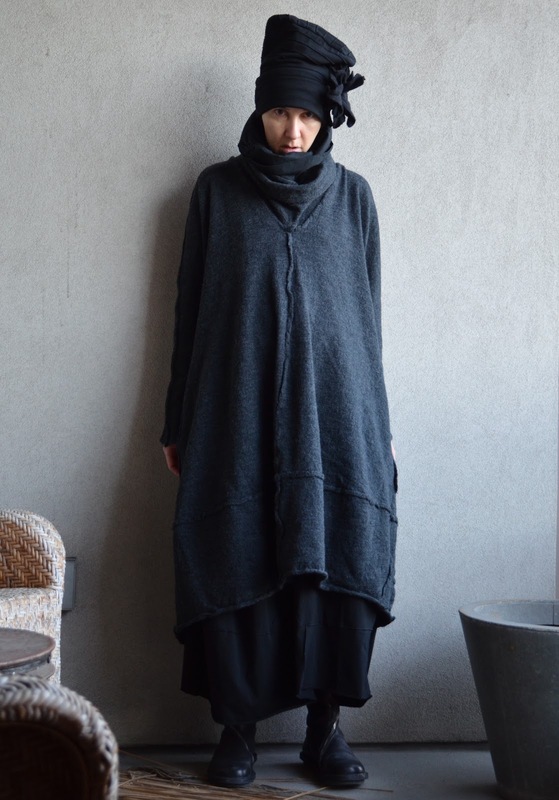 i am wearing the onion boot (closed collection) by trippen. Oh you look so wonderfully warm and cosy. That hat is adorable. Keep warm and stay happy!! Love the proportions of this assemblage. I had been thinking that you seemed less warmly dressed this winter than in previous years. Here, I am glad if it's cool enough for any wool at all, or one slightly cosy layer. As it isn't available in New Zealand and I find myself in Sydney for a couple days I am searching the net for Rundholz stockists in central Sydney CBD (Broadway Ultimo for any Australian's on your blog). How we love Rundholz. I follow your blog and love what you wear. Here in wales, uk I get some strange looks because I like unusual clothes. Do you find the same? thanks, sue. i wore this hat last winter, without the flower pin. i must say that i like the hat so much more with the flower pin. what a difference a small change can make! thanks, jessica. this winter for me is turning out to be a roller coaster ride as far as weather is concerned. i suppose it allows for a lot of variety in wardrobe. but it also feels like being in transition all the time ... not a state i am particularly fond of. thanks, rfmsf. do i get strange looks because of how i dress? yes. i have even encountered people who have been so bold as to make nasty comments about me loud enough so as to be sure that i would overhear them. sad but true. i just carry on. jean: i simply adore the phrase "frankenstein sweater"! it really appeals to the lover of gothic literature in me. for the record: being a layer-er, hot weather is my nemesis too!